The Mirage Solo headset comes with WorldSense motion-tracking technology on Google Daydream’s virtual reality platform. Using WorldSense, users can lean, dodge or duck through space naturally as they move through a large library of content. Based on the Qualcomm Snapdragon 835 VR platform, the Lenovo Mirage Solo delivers high-quality, immersive experiences, according to Lenovo. The Lenovo Mirage Camera will also allow users to create their own VR content. The pocket-sized point and shoot camera features a dual 13MP fisheye camera and a 180x180 degree field of view. Photos and videos captures on the Lenovo Mirage Camera can be uploaded to Google Photos and Youtube. The Lenovo Mirage Solo Standalone VR Headset with Daydream is available from Harvey Norman online and selected stores for $799. 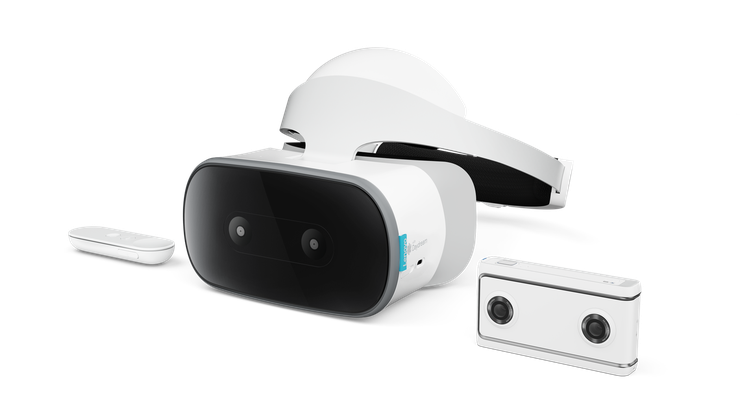 The Lenovo Mirage Camera with Daydream is available from Harvey Norman online for $499.